Am I the only one this weak? Re: Am I the only one this weak? Thank you. The waiting is the hardest part. Definitely ditto's on the AK Rock. Thanks Doc. I will get some pics up when it arrives. Only just some love in this thread for CZ re impulse buys and other weak moments. Imagine if CZ had more runs of SS compacts, or SS Ramis or a single stack pocket gun or a 10mm, or something chambered in 6.5mm for long range, or ... Maybe if some of us weren't so in love with the hammer, we'd be getting more excited about the optics ready stuff, that is pretty cool. Some of my CZ stash money went to fund the P365. Me likey! I haven't bought a new gun since last year. buying AR parts and a red dot for February, hopefully the needed FAL parts will be available in March and then maybe a Shadow2 in April. Got a chance to handle the new Ruger 3 inch LCRx 357mag. probably going to buy and get the 327 version as soon as it come out. So, no you're not the only one. I'm also fighting temptation on a Sig P220 Desert/black that Mr. Gun dealer has for $630 shipped. We can always rename this forum to something like "Gun Buyers Enablers Group". I almost feel like I need to buy 2 or 3 more firearms after hearing from everyone else! I am definitely super weak. 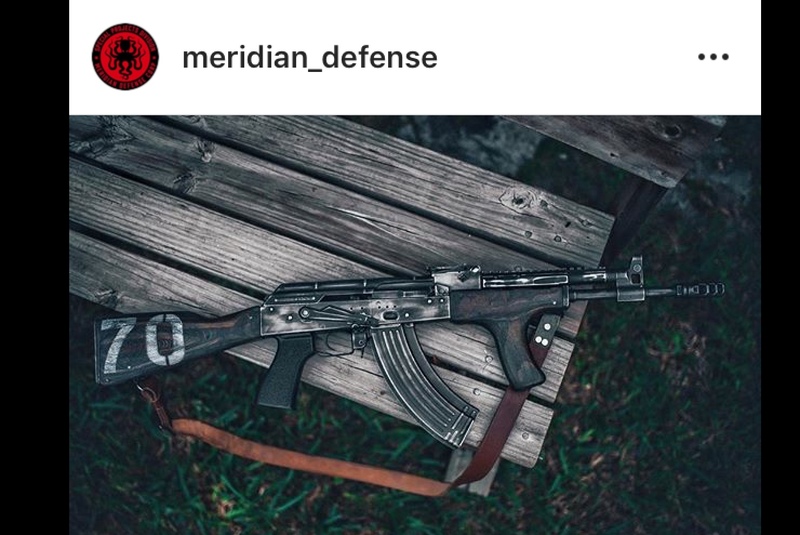 I ordered a custom AK47 from Meridian Defense last month that cost $1500.00. You are in good company my friend; however, I seriously need to hold out from buying anything else until after the convention. You're not going to like the Shockwave blade !!! I’d have to agree. I just replace the Shockwave on my 300BO pistol with an SBA3. Love the gun now. My moment of weakness came a couple of weeks ago with the order of a Troy XM177E2 Commando. Who knows when it will get here as I’m hearing that it can take 3 months to ship. To prove you are not weak or addicted, I think you should pack up that new purchase and ship it to me...just to prove to yourself that you can live without it. Come to think of it, I will offer this service to all you guys...FREE OF CHARGE. What a deal!